Mytishchi is a city, founded in 1460 and received the status of city settlement from 1925. It is located in the Moscow region, is the administrative centre of the homonymous district, and the population of Mytishchi, or the number of matesince, according to the beginning of the year 2014 is 183,224 thousand people. Is the city of the Moscow region 19 km from the Russian capital in the North-East direction from her. Mytishi borders with the ring road near this city lie two highway – the Yaroslavl and Ostashkovsky. The city has the status of a "satellite" of Moscow and the Moscow region center of culture, science and industry. In Mytischi have lived and are living, many residents of science city Korolev, which is located nearby towards the borders of the Moscow region. The easiest and fastest way to come to Mytischi from Moscow by electric train from Yaroslavsky railway station (Komsomolskaya square in Moscow). The average journey time here will be 35-40 minutes, but also follow in Mytishchi and flight-Express trains that take 25 minutes. Therefore, the proximity to Moscow and easy communications makes Mytischi place of residence of many people living in the suburbs, but work in the capital. 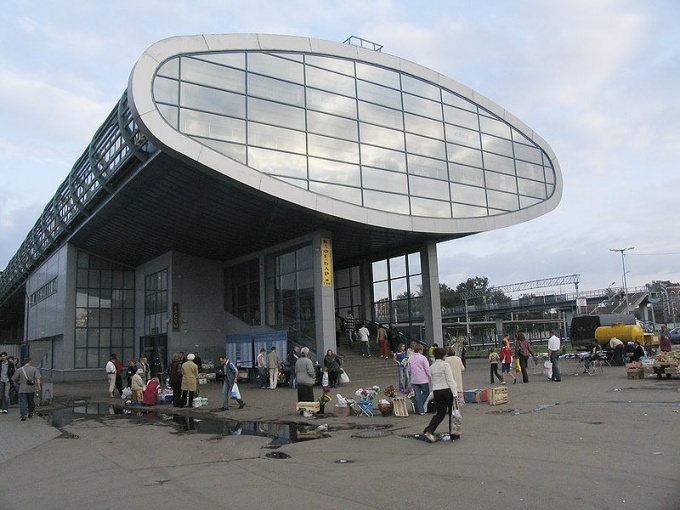 Another way to get to the center of Mytishchi, is the eponymous railway station, can be a taxi, departing to Moscow, the city directly from the metro stations "Medvedkovo" (№ 166, 169, 170, 177, 197, 199, 201, 314, 412, 419), "Babushkinskaya" (No. 567) and "VDNH" (No. 333, 578). Also go to Mytischi bus from the stations of "Los" and "LOSINOOSTROVSKY". There is a message Mytishchi and other cities in the Moscow region – Lobnya, Dolgoprudnom and Queens. True flight is not as regular as from the underground stations of the Kaluzhsko-Rizhskaya line. By the way, in Mytischi, you can not only come to visit friends or relatives, but also to visit a very interesting cultural heritage. Archaeological excavations villages "Mytischi-1", Dating from the XV-XVII centuries, the picturesque industrial buildings Mytishchi carriage works, giving merchants Ageev and wooden cottage Bulanovich, a large complex of Mytishchi of the pumping station and the Church of the Vladimir icon of the Mother of God. In urban areas there is a lot of monuments to Vladimir Lenin, the winners of the great Patriotic War, the pilots of the Aero club of the Mytishchi monument Strekalova astronaut, military leader Suvorov monument, the monument of the Mytishchi water supply, monument portage, which formerly existed on the site of the Mytishchi monument of the heroism of military communications, the sculptural composition "the cat without a tail", a monument to OLE Lukoie, statue of Nicholas II and monument of Family, love and fidelity.